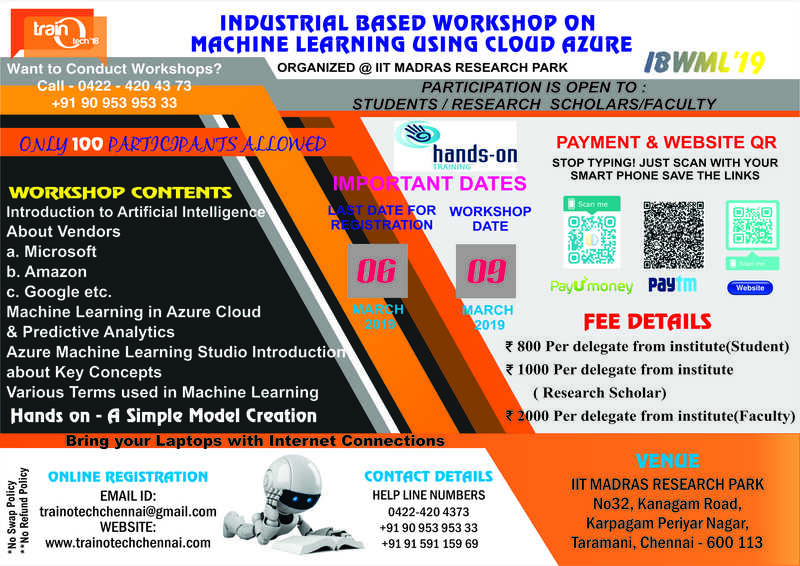 · Machine learning workshop present the basics behind the application of modern machine learning algorithms. The Azure Machine Learning solution you have grown to love. Machine Learning Studio is a powerfully simple browser-based, visual drag-and-drop authoring environment where no coding is necessary. Microsoft Azure Machine Learning is a collection of services and tools intended to help developers train and deploy machine learning models. Microsoft provides these tools and services through its Azure public cloud. Rs.2000 per delegate from institute (Faculty). Registration charges include course material, certificate, lunch & snacks.